LiangDao also has mass production R&D courses and brand new innovation systems. 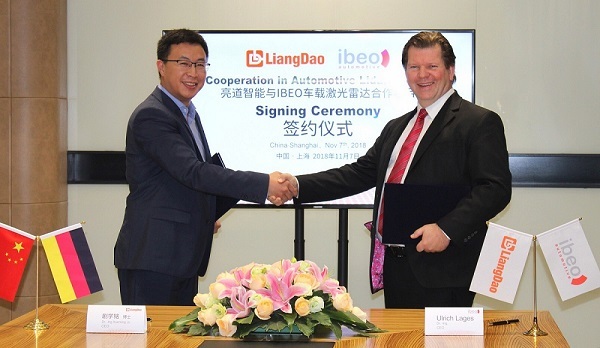 November 8th, LiangDao Intelligent Automotive Technology Co., Ltd. (LiangDao Intelligence) and Ibeo Automotive Systems GmbH (Ibeo Automotive) held a signing ceremony in Shanghai AnTing. The two parties expressed their shared comprehension of a framework for a successful in-depth cooperation in the automotive LiDAR market. LiangDao Intelligence targets to become a leading company in test& validation of multi sensors fusion systems and autonomous driving. Whereas Ibeo Automotive is well-known for its world-class automotive LiDAR technology for environmental perception. Currently, autonomous driving research and development have stepped into a key phase for test& validation. OEMs and New Mobility enterprises are constantly unveiling their plans about introducing L3/L4 autonomous vehicles in the automotive market in the year 202x. As this type of smart vehicles requires intensive effort for test& validation of perception devices, sensor fusion algorithms and autonomous driving strategies to ensure safety requirements, new and innovative approaches are required to reduce the time needed for test& validation while increasing the performance of the required tools, processes and services. News on set: LiangDao Intelligence builds up scenario acquisition, function test& validation services and big data management for customers in the automotive market for L3/L4 autonomous driving. LiangDao aims to provide scenario acquisition and function test& validation services for Ibeo. Ibeo Automotive intends to enter the Chinese automotive market with its advanced LiDAR products to enable L3/L4 autonomous driving. In addition, LiangDao Intelligence and Ibeo Automotive plan to jointly carry out autonomous driving projects in China. On the release day, LiangDao Intelligence announced that GuAn Engineering Center is put into service. The center was built up in earlier 2018. It is the first engineering center set up outside Beijing headquarter. In the future, GuAn Engineering Center will develop tech facilities for providing test& validation services for sensors, sensor fusion systems and autonomous driving. In addition, the center will take on an important role in providing drive-by-wire installation and test services on application stage. The LiangDao Intelligence team started up in 2015 and the core members are mainly from German leading OEMs, Tier 1s and famous R&D institutions. They are talents coming back from Germany, where they gained rich working experience in advanced research projects. Over 80% R&D members obtained PhDs or master degrees from either elite German universities or top universities in China, majored in vehicle engineering, computer science, electronic information, electronics and mechanical engineering. LiangDao Intelligence focuses on multi-sensors fusion technology and test& validation for autonomous driving. Driven by big data, LiangDao Intelligence aims to become the leading provider for LiDAR-based validation solutions for autonomous driving mass production systems. 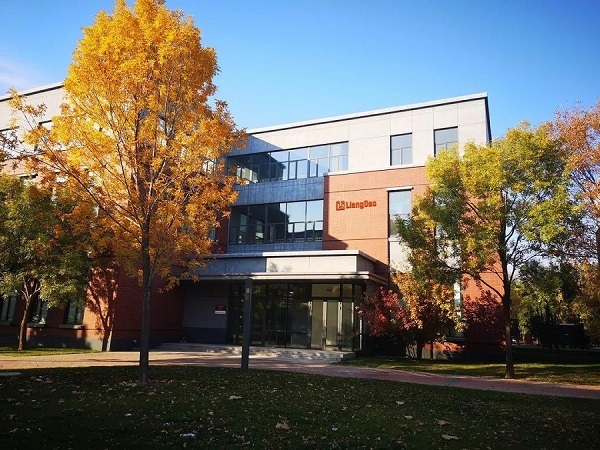 Currently, LiangDao Intelligence has already founded tech centers in Berlin and Munich and has built up in-depth cooperation relations with German companies possessing core autonomous driving technologies such as Ibeo Automotive, Paravan and HFM. In 1998, Ibeo started its operations in Hamburg, Germany. Once the company was a subsidiary of the world-famous sensor manufacturer SICK AG. From 2009, Ibeo Automotive Systems GmbH started to run the company independently, focusing on the development of LiDAR systems for automotive mass production and autonomous driving. In 2016, ZF Friedrichshafen AG acquired a 40% stake in Ibeo Automotive Systems GmbH, which is incorporated in Zukunft Ventures GmbH, a subsidiary of ZF. 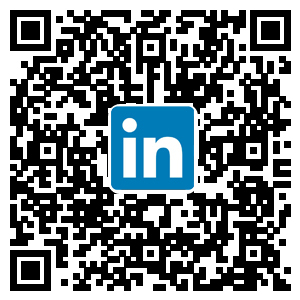 Ibeo Automotive Systems GmbH is involved in over 50 patents and participates in R&D projects about environmental perception, autonomous driving, accurate positioning and intelligent transportation. The company has many years of experience in cooperation with OEMs of the automotive market and provides LiDAR systems for their autonomous driving projects. In July 2017 the world’s first LiDAR device, based on Ibeo technology, was started in mass production for automotive applications. All rights reserved by Beijing LiangDao Automotive Technology Co,. Ltd.